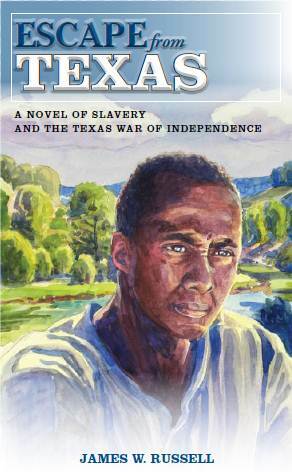 Escape from Texas is the story of James Robinson, a slave who dreams of freedom in the years leading up to the Texas War of Independence. Confronting his dreams are planters who have other plans for Texas. Availability: The print book is always available from Sloan Publishing, Barnes & Noble, and Amazon.com. It goes in and out of stock at Amazon.com. Orders made while it is listed as “temporarily out of stock” will take about two weeks to receive. E-books are always available at Amazon.com (Kindle), Barnes & Noble (Nook), and Google Play. was not Jim Bowie a slave trader.Getting slaves from LaFitte and transporting them to Louisiana? Yes, according to most accounts.